New Delhi, February 12: As India paraded its military power in New Delhi to mark the anniversary of becoming a modern republic on Jan. 26, police in an eastern village were busy fishing out the bodies of a woman and her four children from a well. Late at night on Jan. 25, a group of men broke into the home of Mangri Munda while she and her two sons and two daughters — aged one, four, seven and 12 — were sleeping. They killed them with farm tools and dumped their bodies in a nearby well. Villagers in poor and tribal-dominated areas oftenaccuse women of sorceryand brand them as witches. They are then attacked and killed for a misfortune in the village such as the death of a child, a disease outbreak, bad weather or a poor harvest. “Women in villages are paraded naked, ridiculed, raped, forced to eat human waste and burned alive, with the government taking no action against the practice,” Bhardwaj told ucanews.com. Several Indian states have laws criminalizingsuperstitious activities such as black magicand witch hunts, but the country has no national laws against these practices. Researches he conducted on the correlation between poverty and superstition found that ill-educated poor people easily turn to black magic after misfortunes such as successive deaths in a family for reasons they could not understand. Caste hierarchyand social status are linked to witch hunts and superstitions, according to research conducted by Shamsher Alam and Aditya Raj from the Central University of Jharkhand and Indian Institute of Technology Patna respectively. 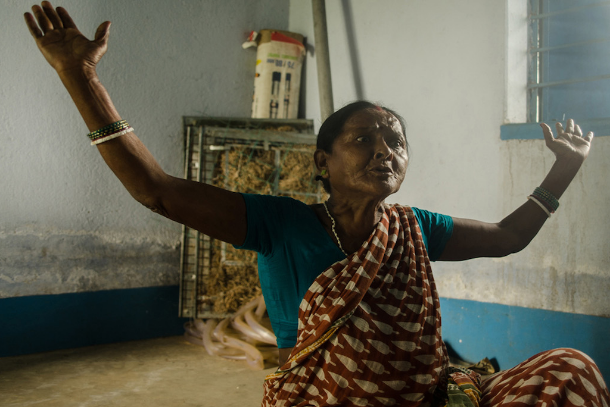 The village shaman orojhaplays the crucial role of identifying witches. Police investigations “have revealed the dubious nature of ojhas” who accept bribes to name a particular woman as a witch, the research said. Imitiyaz Hussan, a journalist in the northern state of Uttar Pradesh, said witch doctors play a very crucial role in crimes. “Once a person has been named as a witch and the accusation has been verified by the witch doctor, action against him or her is definite,” he said.